AirJet®Fabric Filters are designed to use pulsed compressed air for the cleaning of the filter bags which is the most effective method available. Multiple configurations are available which include bottom removal, side removal and top removal with either walk-in style or lift off doors. 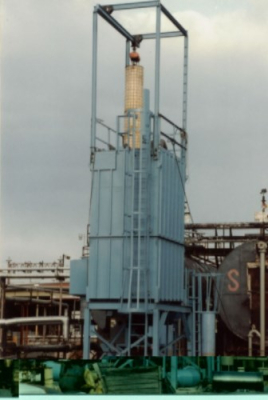 Our bags are constructed in a wide variety of weights and materials to accommodate the differing sizes of particulate and ranges of air temperature flowing through the collector. 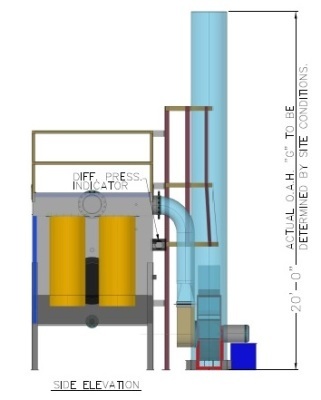 Ancillary equipment such as ash removal systems, I.D. fans, and motor control systems are available to provide a turnkey installation. Our collectors have been supplied to all types of industries throughout the world and have application wherever process air is exhausted. 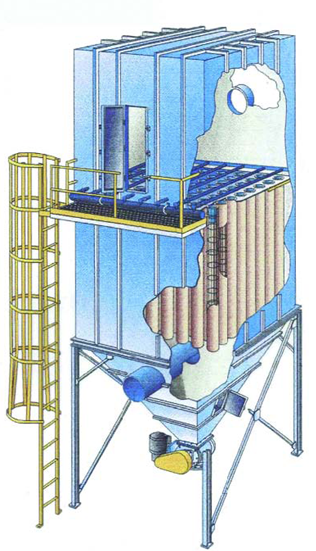 Standard Features: The dust collector is welded and factory assembled in the largest pieces practical to ship and minimize field erection. Units are designed for dust tight operation. A gas tight design is available as an option. Construction: Tubesheets are 10 gauge HRS. Plenum, housing, and hoppers are 12 gauge HRS. Units are stiffened for operation at 20"wg. Top lift off access doors are provided for bag maintenance. A "Walk In" housing mounted on top of the plenum provides weather protection for maintenance personnel. The hoppers are pyramidal in shape. Header: Header pipe assembly (consisting of header pipe, right angle diaphragm valves, solenoid valves and solenoid valve enclosure) is shipped mounted, tubed, and completely assembled. Diaphragm valves are ¾" through 1½", as required. A 0-160 PSI air pressure gauge is standard on all units. Solenoid valves are mounted in a die cast Nema 4 aluminum enclosure. Nema 7/9 enclosures are optional. Controls: Solid state timer with outputs matching the number of solenoids used to sequence the diaphragm valves. A Magnehelic® gauge is provided to measure the pressure drop. Bags: A wide variety of fabrics and weights of bags are offered to specifically handle the particulate and temperatures coming into the collector. 6" diameter bags x 8 and 10 foot long are included, with 6 and 12 foot bags, and other diameters available as an option. The bags attach to the tubesheet by "Snapping" into close tolerance holes. 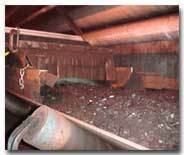 Venturies & Cages: To induce additional airflow for pulsing the bags, spun steel venturies are welded to the cages. The cages drop into the bags and rest on the tubesheet. Standard venturi length is 6". Unloading: Units can accommodate slide gates, dump valves, rotary valves, or screw conveyors, as required or specified by the customer. 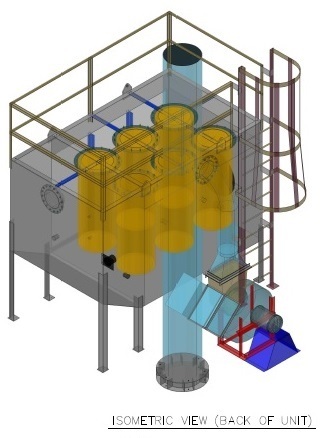 Options: Blower, ductwork, platform, ladder, insulation, alarms, explosion vents, level controls, rotary valves, etc. Application: When extremely small particles are present, the energy required for scrubbing may increase tremendously. If the particles are oil, liquid aerosol such as acid mist, a soluble salt, or similar substances, a fiber bed may be the answer. The principal of operation involves passing the particulate laden gas stream at a low velocity through highly compressed fiberglass matting. The result is the removal of particles below 1 micron. The lower the velocity, the better the performance. Gas normally enters at the bottom of the vessel and passes upward through the special filters. The captured mist, plasticizer or other liquid drains from the filter surface by gravity. 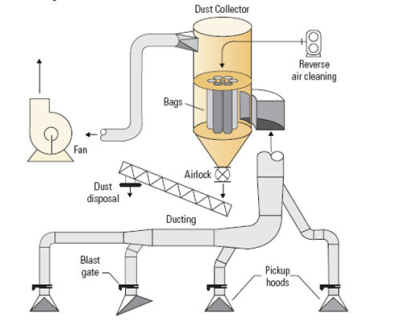 Many processes create clouds of fine particle airborne dust while transferring or transporting bulk materials. This airborne dust is not only annoying but can be toxic and debilitating to humans and damaging to surrounding facilities and equipment. To minimize or eliminate this dust condition, systems consisting of pumping stations, piping, spray assemblies and controls are designed to effectively encapsulate the dust cloud in a fine vapor mist. The dust particles agglomerate with the fine water droplets, becoming heavier than the air, resulting in a "settling out" of the airborne dust. 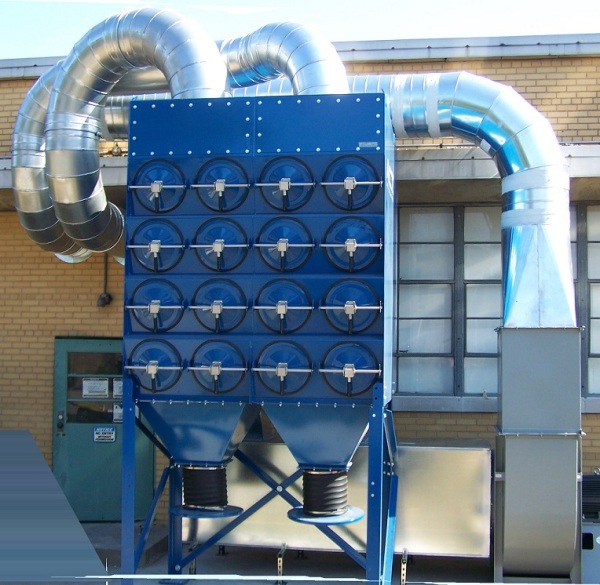 What makes an Air Process Systems Dust Suppression System Superior? Air Process Systems Nozzles along with a proper system design make an Air Process Systems system superior to most other systems. Air Process Systems nozzles utilize both compressed air and liquid (in most cases water) to create an ultra fine droplet spray pattern. The very fine droplet size (as small as 1 micron) is the key element and is created by disintegration of the water spray in high energy shock waves. The shock waves are produced by the compressed air impacting on a resonator at the tip of the nozzle. The waves are reflected back into the emerging liquid shattering the liquid into micro fine droplets. For a given volume of liquid that means the droplet density (droplets per volume of air) is greatly increased. This, in turn, greatly increases the impaction rate of dust particles to water droplets, producing a higher rate of agglomeration and dust capture. 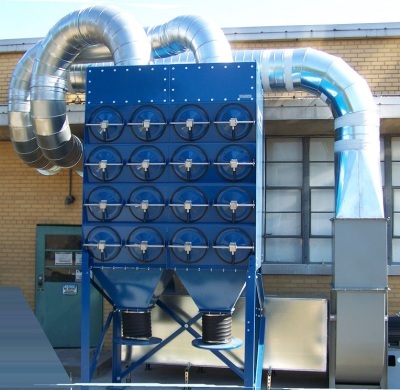 What are the Benefits of an Air Process Systems Dust Suppression System? 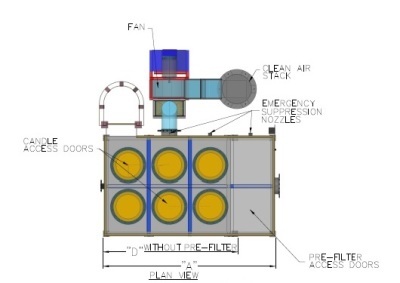 Greater efficiency in settling out airborne particles than liquid only or non-resonator type nozzle systems. 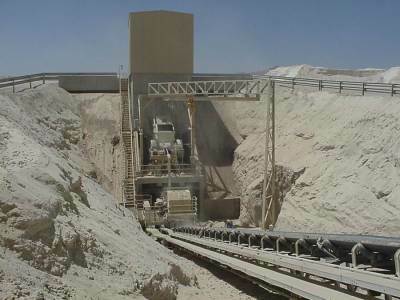 Materials Such as: Sand, Limestone, Clay, Coal, Most Quarried Products & Loading other dust producing products. Air Process provides rigging and erecting, hauling, moving, millwright and ironworker services. Industries served include: power generation and utilities, automotive, metals, manufacturing, chemical and petro-chemical, agricultural, wind / solar / renewable, and water / wastewater. Utilizing proven safety procedures, project management systems, precise scheduling and innovative techniques, we offer complete installation services to make your project successful. Assisting from start to finish, self-performed services also include logistics planning, site preparation, concrete components and road construction. Our value analysis / value engineering program provides a database of best practices that save time and money. 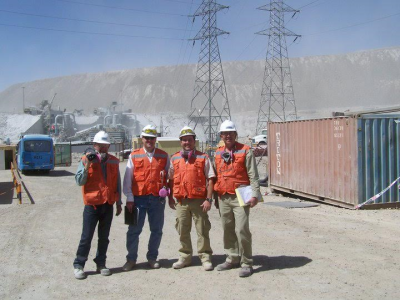 Our commitment to safety includes dedicated, full-time safety directors who oversee all projects and enforce safety protocols.